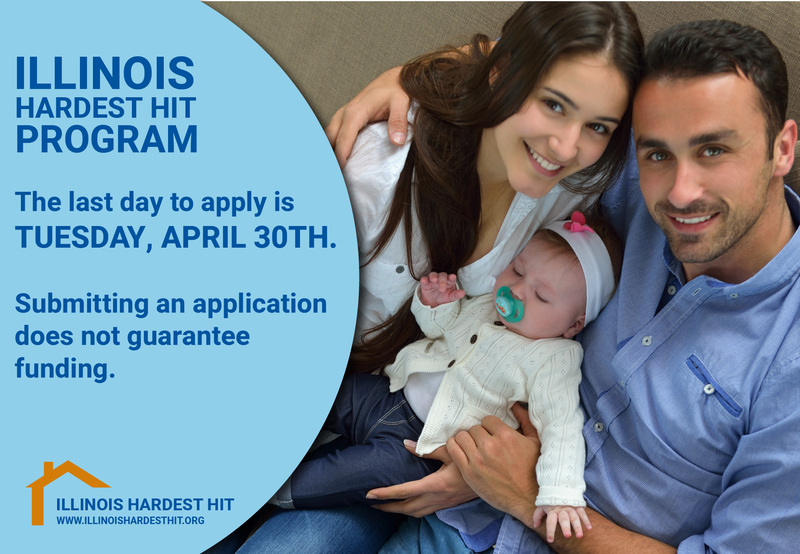 The last day to apply for the Illinois Hardest Hit Program and the Reverse Mortgage Assistance Program is Tuesday, April 30, 2019. Thousands of homeowners have already been helped through HHF and these federal funds are almost exhausted. Please note that submitting an application does not guarantee funding. Don’t wait. Act now! 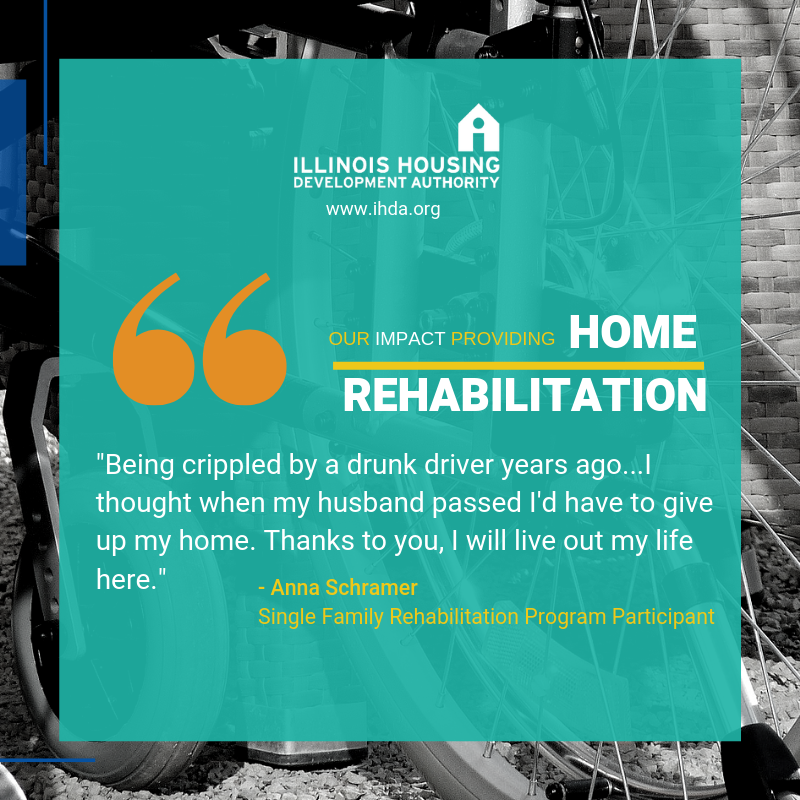 Find more information about applying for Hardest Hit Fund at illinoishardesthit.org. Housing counselors can help you understand your options if you are having trouble paying your mortgage. They can communicate with your mortgage lender or servicer on your behalf and help you find legal representation if necessary. Counselors can also help you create a budget to manage your expenses and possibly stay in your home. Find a counselor near you today and begin to get the help you need. You should be aware that foreclosure rescue and mortgage modification scams exist. Scammers make promises they cannot keep, such as guarantees to save your home or lower your mortgage, for a fee. Scammers also may pretend they have direct contact with your mortgage servicer when they do not. One of the easiest ways to determine if someone is trying to scam you is if they ask you for money. You should never have to pay for foreclosure assistance. Beware of anyone who asks for a fee in exchange for a counseling service or modification of a delinquent loan. Beware of people who pressure you to sign papers immediately, or who try to convince you they can save your home if you sign or transfer over the deed to your house. Never make a mortgage payment to anyone without your mortgage company’s approval. Watch the Foreclosure Rescue Scams Video on the FTC ‘s YouTube Channel. The U.S. Department of the Treasury’s Office of the Comptroller of the Currency provides tips and materials to help homeowners avoid mortgage modification and foreclosure rescue scams. The Loan Modification Scam Prevention Network is a national coalition of governmental and private organizations created by Fannie Mae, Freddie Mac, NeighborWorks America™ and the Lawyers’ Committee for Civil Rights Under Law to provide resources to educate homeowners about the dangers of loan modification scams and support federal, state and local efforts to combat these scams. If you believe you have been the victim of a scam, you can report the scam through the campaign’s online complaint form. If you live in Cook County, the Cook County Recorder of Deeds has created a free property fraud alert that will notify you any time a document is recorded against your property’s Parcel Identification Number (PIN). If you suspect mortgage fraud or want to learn about tips to avoid fraud, contact the Illinois Department of Financial and Professional Regulation (IDFPR) or call 1-800-532-8785. If you are facing foreclosure, it is important to know your rights. Remember: you should never have to pay for foreclosure assistance. The Illinois Attorney General‘s website has a summary of homeowners’ rights and lender obligations, as well as a referral list of non-profit legal clinics, legal programs in law schools, and private law firms throughout the state that provide pro bono (free) legal services for those who cannot afford an attorney. Prairie State Legal Services — Call 888-966-7757, Monday through Friday from 9 a.m. to 12 p.m. and 1 p.m. to 4 p.m. to find out if you are eligible. Illinois Legal Aid — The organization has a series of videos explaining the foreclosure process and how to work with an attorney. To see the videos, click here. If you are a renter and your apartment building is in foreclosure, or has been foreclosed, the Lawyers’ Committee for Better Housing provides free legal services, including a toll free helpline at 855-207-8347, representation within Cook County and other resources to help you understand what options may be available to you. The ComEd CARE programs offer a range of financial assistance programs to help qualified ComEd customers pay their electric bills. ComEd’s smart meters program. Smart meters are digital electric meters that collect energy-usage information and securely send it to ComEd. In addition to eliminating estimated bills, smart meters give customers access to more information about their electricity usage. The Low Income Home Energy Assistance Program (LIHEAP) helps eligible low income households pay for winter energy service. MeterSave is a program offered by the City of Chicago’s Department of Water Management (DWM) to non-metered Chicago homeowners to voluntarily install meters to help them save water and lower their water bill. Warm Neighbors, Cool Friends – a collaborative program between Ameren Illinois and the Energy Assistance Foundation that provides moderate income customers and senior citizens with low-cost home weatherization options. The Citizens Utility Board (CUB) is a non-profit organization focused entirely on cutting your utility bills. CUB provides guidance to help slash phone, electric and gas bills and assists customers who have complaints against their utility company. If you’re looking for an affordable home to rent, ILHousingSearch.org is a fast, easy-to-use search tool that lets you look for rental housing using a wide variety of criteria and special mapping features. You’ll find color photos and detailed information about each unit. The service also provides links to housing resources and helpful tools such as an affordability calculator, rental checklist and information about renter rights and responsibilities. Anyone who sustained losses or damage from the severe storms and tornadoes on November 17, 2013 should register for disaster aid. Residents can apply for assistance with the Federal Emergency Management Agency (FEMA) on their toll-free number (1-800-621-FEMA (3362) or 1-800-462-7585 (TTY) for the hearing and speech impaired) and online at www.disasterassistance.gov. More information on disaster recovery resources is also available at ready.illinois.gov. The U.S. Department of Veterans Affairs provides service members, veterans and eligible surviving spouses with housing assistance that can help you retain, repair or adapt your home. The Interest Rate Reduction Refinance Loan, also called the Streamline Refinance Loan, can help you obtain a lower interest rate by refinancing your existing VA loan. Additional support is available to help veterans modify their existing home to account for a disability, apply for property tax reductions and access mortgage delinquency assistance for both VA and non-VA loans. If you need to find employment or apply for unemployment support, visit the Illinois Department of Employment Security (IDES) website. IDES is the state agency that pays unemployment benefits and administers the employment service and Illinois Job Bank to connect Illinoisans to jobs throughout the state. Additional support for Illinois residents looking for work is available through the American Job Center (AJC) website. AJC provides access to federal and local resources that help people find a job, identify training programs, gain skills in growing industries and apply for financial assistance. You should attend a foreclosure prevention workshop if you are struggling to pay your mortgage or if you are facing a foreclosure. Approved housing counseling agencies regularly host these workshops as a way to provide a variety of services at one time. Such services usually include information on foreclosure prevention programs, housing counseling, legal assistance and debt management. Attend a foreclosure prevention workshop to learn how to save your home. Remember that if you need assistance, please reach out to a housing counselor to help you understand what options are available to you. But whatever you do, don’t do nothing. There is help available. All services are free. Remember: You should never have to pay for foreclosure assistance. If you are a housing counseling agency looking for information about funding for future rounds, please visit the Foreclosure Prevention Programs section.